We all know a picture speaks thousand words and for that reason infographics are being more popular due to its amazing information displayed in the form of images. It has the capability to capture everyone’s eye and tell them a story with engaging content and images. It’s an all in one package with text, images and creative design that come all along. It holds a great marketing potential that has the ability to attract customers. Many people click on infographics as it is more appealing and hence your web traffic is increased which is beneficial aspect for SEO. Here we have the collection of 10 interesting infographics about social media. Let’s have a look at them below. 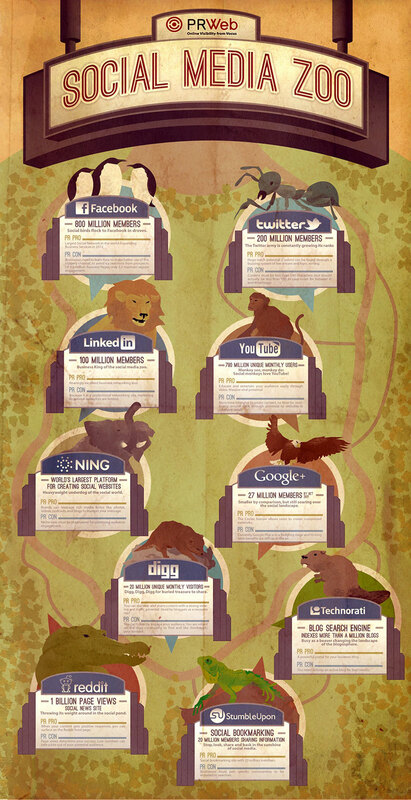 This infographics is really amazing that relates social platform as a zoo and every social media as its animal. Based on the popularity and features, every platform is related to respective animals. 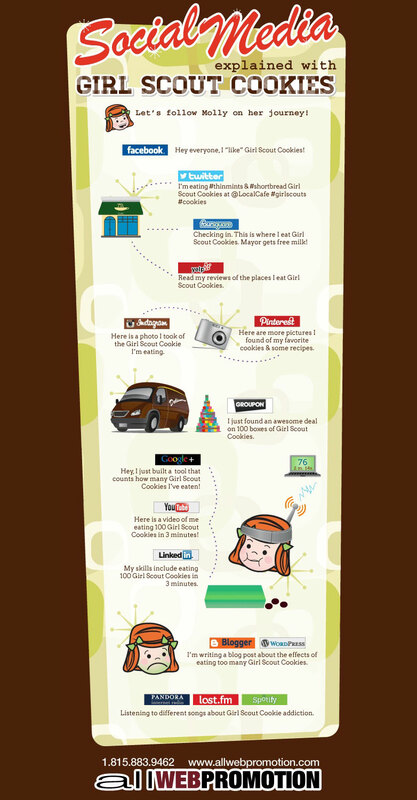 This infographics is a humorous attempt to explain just what social media is really about using Girl Scout cookies. This infographics is a visual guide that details on how users are interacting with pins, boards, other users and brands on Pinterest. Get to know the best practice and dos and don’ts of email marketing in this infographics. This infographics teaches you the top 10 ways to optimize your business’ YouTube channel. This infographics gives you the detail information on the past, present and future of blogging and social media. Get the stats on how much time people are spending on internet with this interesting infographics. Get to know about LinkedIn bootcamp infographics by clicking here. 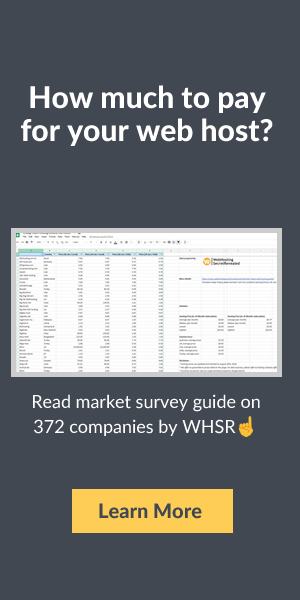 Get to know the buzz on social media and small businesses in this infographics. How have you been utilizing the available Social Medias? 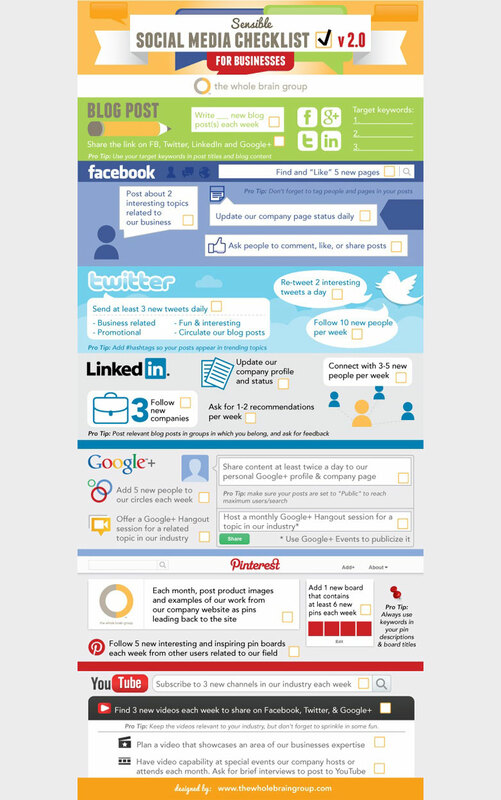 Here is the social media checklist infographics for your ease.